Each month when I get my Comcast bill in the mail, I die a little bit inside. 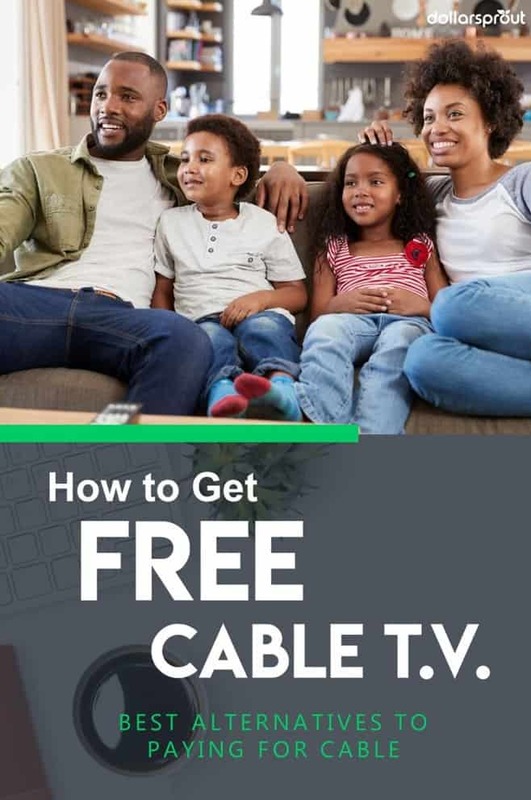 After paying $144 a month for cable and internet for the past two years, I recently decided to start researching how to get free cable TV — if that’s even possible. Of course, I know that nothing in life is truly free. But I still wanted to investigate this a little bit, especially since I’m not ready to completely cut the cord. I wouldn’t be the first one drop cable, though; the U.S. cable industry lost 410,000 subscribers during the first quarter of 2017. People clearly want to save money on cable. Wait a minute. Is that even legal? Yes, you can watch cable television for free and still be able to call yourself an upstanding citizen. Here’s something you need to know about cable companies: they will always go out of their way to convince you to pay ludicrous amounts of money to support your television viewing hobby. After some digging, I’ve found several ways to enjoy cable TV (legally) without paying a single dime to cable companies. That’s right. Antennas are making a comeback in a big way. In fact, new research from Parks Associates reports that the percentage of U.S. broadband users who have taken to using digital antennas in their home has increased to 20 percent since the end of 2017 (up from 16% in early 2015). And mind you, TV antennas have come a long way since that time you taped one near the window just to get a decent reception. We’re talking HDTV Antennas here, meaning superior broadcast signals and a ton of new local channels. It’s even better if you live near the metropolis, where an HDTV antenna won’t have any problems receiving signals from up to 109 channels. You can visit Antenna Web to check how many channels you can access from your location and which type of antenna will give you optimal reception. There are two types of antennas: Directional and Omni-directional. The best option depends on your location and other factors related to your home setup. There’s a clear line of sight between the antenna and the cell tower. When the cell tower is too far for a multi-directional antenna to handle. When all accessible cell towers are located in a specific direction. You can usually find a decent HD directional antenna on Amazon for less than $50. Omni-directional antennas, on the other hand, are designed to intercept signals equally well in all horizontal directions. These multi-directional antennas are your best bet when you can’t tell for sure where the TV signal is coming from. Since these antennas intercept signals in a two-dimensional geometric plane, they are capable of maintaining satellite connectivity even when signals are bouncing off buildings and other objects. They are slightly more expensive than directional antennas, but still a great value compared to paying for cable. To ensure that reception conditions are always excellent, you have to take into account the location of your antenna as well. As such, you have to decide whether you’ll be using an outdoor antenna or an indoor antenna. An indoor TV antenna is small and can be placed in any room, and therefore may be the best option for you if you live near TV broadcast towers, preferably within 10 miles. They’re also ideal if you live in a location where mounting an outdoor antenna is not an option. High-quality indoor TV antennas are very affordable. The AmazonBasics Ultra-Thin Antenna, for instance, has a decent 50-mile range at is super affordable. You can set up an indoor TV antenna with little to no hassle. Simply plug the antenna into the “Ant In” receiver on your TV, then mount the receiver in a nearby window and you’re off to the races! An outdoor TV antenna might be ideal if you live in wooded or rural areas where households are in a much better position to receive TV signals. Since outdoor antennas are typically mounted on rooftops, they are less likely to experience signal obstructions caused by roofing materials, buildings, walls, and trees. Most people think outdoor TV antennas are expensive. On the contrary, most can be purchased at affordable prices. You can even get one with an 80-mile range for under $40! The internet offers a wealth of video streaming services that won’t require you to dip into your own pocket. If you doubt that even for a moment, feel free to check video streaming sites such as TV Box, TV.com, and Series Cravings, just to name a few. They are completely free, and some of them won’t even require you to sign up for an account. How convenient is that? They’re also DMCA compliant so you can rest assured that they are completely legal. If you love to binge-watch movies and TV shows for free, then you’d do well to give Crackle TV a look. Originally called “Grouper,” the network was rebranded as Crackle TV after Sony Entertainment purchased the company in 2006. A word of warning: the Sony-owned streaming service runs ads within the content at set intervals. Granted, it can be a little annoying. But then again, the service is completely free so I can’t really complain. Even as a free service, Crackle offers a lot of quality programming. While the content on Crackle TV rotates on a monthly basis, you’ll find no shortage of TV shows and movies to keep you entertained. One perfect way to describe Crackle TV is that it’s like Netflix, but it’s free and it runs ads. Amazon Prime Video is a video streaming service available for Amazon Prime members. If you’re not an Amazon Prime member and don’t have plans of being one, you can still get Prime Video for less than $10 a month. Prime Video’s offerings are nothing to sneeze at. For starters, the service offers access to thousands of movies and TV shows. Better yet, you get free two-day shipping as an Amazon customer and unlimited access to a library of eBooks! Most television nerds will tell you that Netflix is the best thing since sliced bread. And they’ll go on defending that stance — that is if you can pry them from their screens. To date, the billion-dollar streaming service now has over 75 million subscribers. And while Netflix isn’t a free streaming service, it more than makes up for it with high-quality programming. With popular TV series like Stranger Things, Daredevil, and House of Cards, Netflix has become a major player in the world of movies and television. Netflix offers a free-30 day trial, so you have more than enough time to sample the streaming service. As is the case with all free trial offers, you have the option to cancel anytime before the trial ends if the service is not your cup of tea. Basic: For $7.99 a month, you can stream unlimited movies and TV shows in standard definition. Standard: For $10.00 a month, the Standard plan allows you to stream unlimited content. The plan also offers HD video quality and the option to watch on two screens at a time. Premium. You get unlimited content, the option to watch in HD and Ultra HD, and the capability to watch on four screens at a time. Pretty much the perfect subscription plan for the entire family. Even with the most expensive plan, you pay only a fraction of what you’d end up spending on a regular cable package. If you pick up a small side hustle, you can pay for your Netlfix without dipping into your regular monthly budget. Why pay for a monthly cable subscription when you can access the same programs on the web? 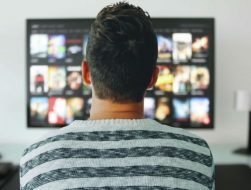 You’re already paying monthly for a high-speed internet service, so you might as well maximize your subscription by streaming cable TV on the internet for free! As the website name itself suggests, TV.com is a website that focuses on television programming. It’s a good place as any to keep tabs on your favorite TV shows and to keep up with the latest news on the television front. Another good reason to stick around is the website’s robust community of television geeks. Aside from giving you a comprehensive list of TV shows to enjoy, you also get to talk about your favorite shows with other members. Network websites such as FOX.com, ABC.com, and NBC.com allow you to catch their respective TV programs on the same day they air. While you won’t get to see their content live, you’re still getting a good deal considering the fact that they’re offering the service free of charge. Besides, you can always watch episodes from previous seasons while waiting for the current episode to be released on the site. Want to take a trip down memory lane and relive the television classics without paying for a monthly subscription? Easy. Just go to the Classic Television Online website and you can have access to a comprehensive list of vintage television shows. From daytime shows to prime-time specials to memorable late night interviews, there’s a lot in this collection to indulge your nostalgia for days on end. Roku has been the streaming device of choice by many for years, and for many good reasons. With its smart capabilities, excellent interface and a slew of awesome features, Roku has revolutionized the way we enjoy movies and TV shows in the comfort of our own homes. By connecting your Roku device to your TV, you can enjoy past and current episodes from different networks and cable channels for free. With the advent of 4K and HDR technology, Roku continues to lead the streaming device market, edging out competitors like Apple TV, Amazon’s Fire TV, and Chromecast. YouTube has evolved beyond being just the largest online video platform in the world. In 2017, the video hosting service ventured into the world of internet TV by launching YouTube TV. YouTube TV might be new to the game, but it’s already made a big impact on account of its impressive package of networks. With over 60 networks already under its belt, YouTube TV is staking its claim as the best cable TV alternative in 2018. Sharing streaming passwords with friends and family sounds like something streaming services would discourage, but it still happens all the time. In fact, a Reuters poll conducted last year reports that a full one-fifth of young adults shared their streaming logins. So, is simultaneous streaming on multiple devices considered “piracy”? Unfortunately, there’s no clear cut answer. For one thing, streaming companies have differing stances on the practice. Netflix CEO Reed Hastings said in 2016 that sharing streaming account logins is “par for the course” for their streaming service. Amazon Prime, meanwhile, says on its website that “Amazon Household allows you to share Amazon benefits with another adult, teens, and children in your household.” “In your household” is the operative phrase there, of course. I’m sure you can already tell why people are getting confused over what’s considered “piracy” or not when it comes to sharing logins. My advice is for you to rely on your good judgment. But if you have decided to share your password with a friend and you’re feeling guilty about it, don’t. If you want a device that seamlessly integrates OTA (on-the-air) viewing, recording, and streaming in one neat package, the Tivo Roamio DVR Recording Device is just what the doctor ordered. It’s a steep one time cost, but eventually pays for itself if you are able to ditch your cable subscription. My favorite feature with this is that you can enjoy your favorite streaming apps including Netflix, Hulu, Amazon Video, and more, without swapping inputs all the time. Even though this still involves paying for cable, I wanted to include “negotiate your bill” here because of a cool tool I came across that actually does it for you. Trim is one of the neatest tools I’ve found for saving money, and it’s free. 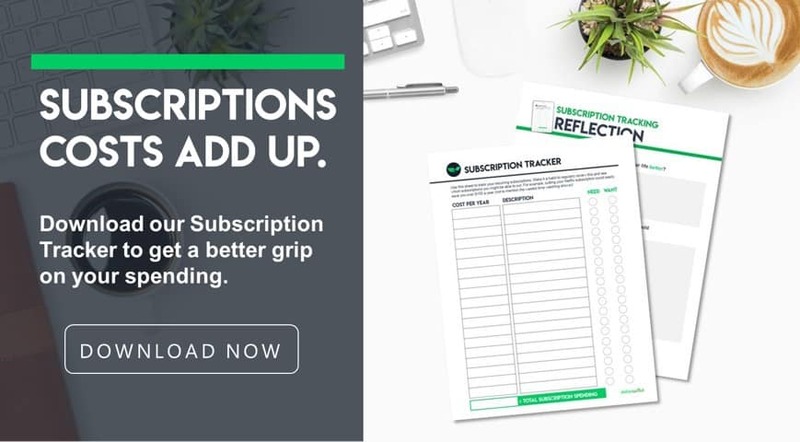 It’s a simple app that can sift through your spending habits, find subscriptions you should probably cancel and it can even negotiate your cable bill, find you better car insurance, and more. If you hate making that annual phone call to your cable company where you pretend you’re leaving (so they will cut your price), definitely give Trim a shot. As you can tell by now, there’s no better time to cut the cord than now considering the extensive options you have at your disposal. 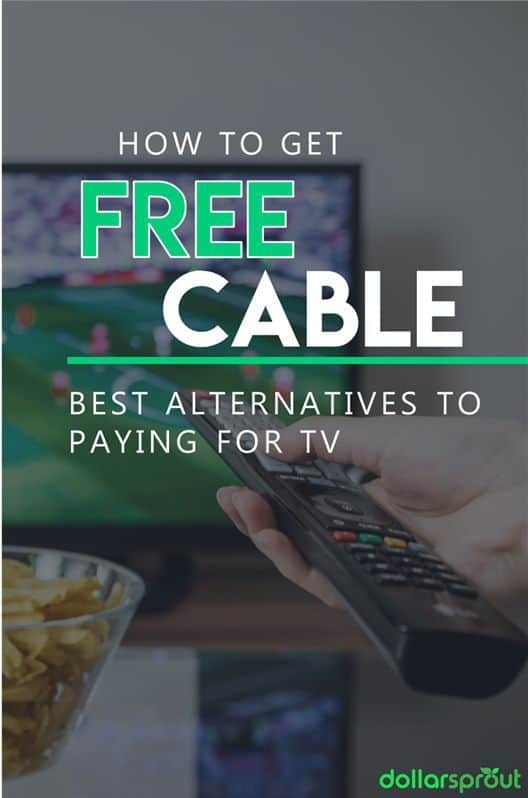 The best way for you to get free cable television will depend on several factors: your location, budget, and personal preference. You can’t go wrong with any of the above suggestions. Basically, anything is better than paying and arm and a leg for cable, month after month. Your local library may also have plenty of videos for free. It’s how I watch cable shows like Walking Dead, Better Call Saul, and others. My library provides all my indoor entertainment for free. Local library might also have access to hoolpa which has tv and movies available to “check out” digitally and stream on computer or through Roku. Love Roku for its ability to connect to so many free options. Roku has their own channel with free content that changes each month. Pluto tv is another great one. It has channel structure. Has a mystery science theater 3000 and a riftrax channel. Both legal; heard of it from riftrax guys. none of the alternative companies have the good shows/channels/and current date shows, like discovery, history, scifi. even when I was with direct tv, some current next week show never showed up. until there is a company that allows us to watch current shows like xfinity. we just don’t watch tv. There are also companies out there like Low Income Cable that offer lower than normal prices. Save money where you can, every little bit helps. Did you know you can actually get paid to watch Netflix? Yep! Check out this app we love to use to earn a little extra change while we watch our favorite shows.